People are different. You should know that by now. Everyone has different opinions, ethics, and meanings, and so what? Our society is extremely rigid because we have the need to place everything into simple little boxes and put the different boxes far away from each other so that they never touch. In each of the boxes, people generalise the content and this creates stereotypes. We have stereotypes for everything, even things such as alternative food diets; truly everyone should be able to eat whatever they want without being categorised into a group. Thinking of the boxes of food diets we have created and the stereotypes connected to them, how many of them are actually true? We all know that one vegetarian that thinks they rule the world, because “hippies” rule the world. They will food shame you until you no longer hurt any living being, and then they will shove tofu down your throat. When we think of vegetarians, we think about the sad tasteless meals they must have and a number of protein pills they must be taking. They are all skinny because all they eat is salad and of course their workout routines are extremely insane. If you have never thought of any of these things when someone told you they are a vegetarian, you are lying. She does admit that she is on protein pills, but she never really thinks of them when she takes them in the morning. “The best thing about being vegetarian is telling people that I do not like salad and watch their face of pure surprise because I do, actually not like salad, but there is so much more to vegetarian food than salad”. 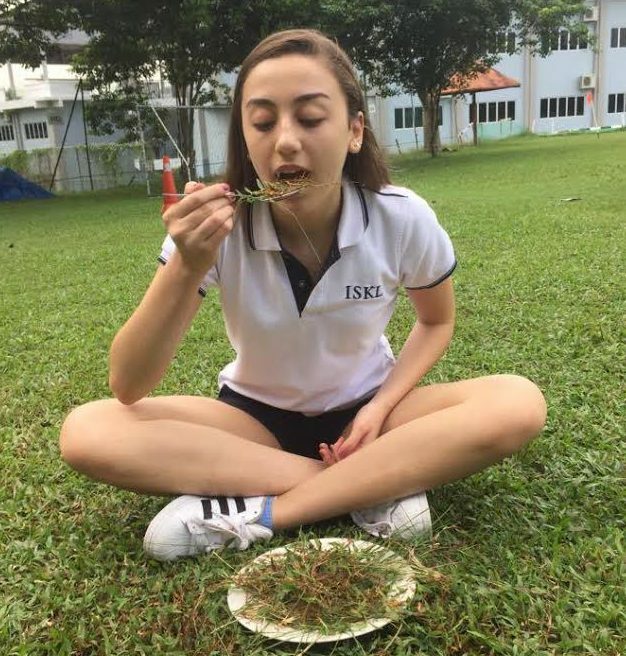 Contrary to vegetarianism, veganism is a more strict diet that can be summed up in one word: Grass. Yes, the green thing that grows outside in your garden sums up the best and worst parts of vegans. I’m talking about the strict diet that cuts out both meat and anything animal related, which basically is only grass, tofu and salad. This is what some people think of when they think of vegans, maybe not to this degree, but we most certainly wonder what vegans can actually eat. You know the feeling when the beef is roasting on the grill on a summer day, I wonder if vegans have the same feeling when someone is mowing the lawn? “Of course vegans get the same feeling,” Iselin says with a voice dripping with sarcasm. She is annoyed that some people truly believe that all vegans eat is grass because there is so much more to it. The vegan society had grown tremendously after all the attention veganism had received, both good and bad. She concludes by saying “I don’t really care what people think about vegans because it’s my life and I live it however I want”. The only reason someone would want to go gluten-free must be because they have celiac disease. Only middle aged white moms called Carol, who take their kids, Tommy and Jessica to soccer practice and ballet, must be gluten free. But there are, of course, that group of white girls who just really want to follow a trend. Ilona ‘19 has celiac disease and is distressed by the stereotype that only white girls who want to follow a trend go gluten-free because she has celiac disease so she can’t eat gluten, ever. She agrees that a large group of the people who have a gluten-free diet are most likely allergic to gluten, but says that not eating gluten has a lot of health benefits, so she sees why some would consider the diet. Stereotypes are widely oversimplified. Which one are you?